The definition of “meaningful use” could change again if the recommendations approved Wednesday by a health information technology advisory committee are adopted, including a recommendation to relax a “pass/fail” requirement and allow hospitals and office-based physicians to take a few “mulligans” and still qualify for federal IT subsidy payments. For now, the recommendations adopted by the Health IT Policy Committee and forwarded to the Office of the National Coordinator for Health Information Technology are just that—recommendations. On Dec. 30, 2009, the CMS released a 556-page proposed rule covering the meaningful-use requirements that hospitals and physicians must meet to qualify for federal subsidy payments to purchase and use electronic health-record systems subsidy payments under the American Recovery and Reinvestment Act of 2009, also called the stimulus law. The law says in order to qualify for subsidies providers must not just buy an EHR, but also use it in a “meaningful manner,” including for electronic prescribing, exchanging patient information to improve patient care and submitting reports on the quality of care. The CMS proposed rule fleshes out the meaningful-use requirements and was created taking into consideration earlier HIT Policy Committee recommendations. The public comment period on the CMS rule closes in mid-March. In addressing an HIT Policy Committee meeting Wednesday, David Blumenthal, committee chairman and ONC head, said the rule was “not set in stone” and “will be revised” in the future, but left up in the air whether the latest HIT Policy Committee recommendations, which he described as “extremely interesting” would be wrapped into a final CMS rule anytime soon. Blumenthal said the federal rulemaking was “historic” not just for health IT, but “perhaps for healthcare generally.” Blumenthal said since taking office at the ONC in April 2009, he has met with colleagues in Europe also working on health IT and the U.S. concept of government subsidies that include setting the goals for the use of technology “is a novel approach to making policy in this realm.” In that sense, Blumenthal said, the whole world will be watching how the U.S. rolls out its IT subsidy program. 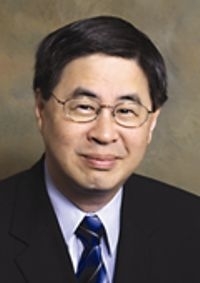 The first and longest presentation in what was a 5½-hour meeting came from the committee's work group on meaningful use, co-chaired by physician informaticist Paul Tang, chief medical information officer of the Palo Alto Medical Foundation. The work group presented and had approved by the full HIT Policy Committee 12 recommendations for amendments to the CMS rule. Under the CMS rule, the government proposes three stages of increasingly more stringent meaningful-use requirements. In the first stage on which initial Medicare subsidy payments will be based in 2011, providers may achieve meaningful use and qualify for subsidy payments while only partially achieving certain requirements. For example, to qualify for federal EHR subsidies, the CMS rule proposes that all office-based physicians use a computerized physician order-entry system, but an office-based provider only has to enter 80% of his or her orders using CPOE under Stage 1 criteria. Requirements that providers electronically keep patient medication and allergy lists are among other Stage 1 criteria that have an 80% compliance threshold. But, under the CMS rule, to achieve meaningful use, providers must meet all of the two dozen or so requirements set out in the rule, so if there is an 80% usage requirement, then 79% won't do. Fall even a bit short in just one required area and a provider will fail to qualify for any EHR subsidy. Thus, a practice that didn't make 80% CPOE in 2011 would have to do so by 2013, and would have to meet the 2013 requirements as well. “We want the eligible providers to try hard but giving them a mulligan or a pass on those that they don't hit,” said fellow committee member Deven McGraw, director of the Health Privacy Project at the Center for Democracy and Technology, a Washington-based think tank. Committee member Charles Kennedy, vice president of health IT at Wellpoint, said he appreciated the intent of the deferral program, but said he was worried it would complicate operation of the stimulus program. Flexibility would not be extended to all meaningful-use criteria under the committee's proposal. Privacy and security, for example, would still require 100% compliance.